Join the Wyoming State Archives for a lunchtime talk by in Dr. Phil Roberts, professor of History at the University of Wyoming, on October 24th from 12-1 pm in the Wyoming State Museum Multi-Purpose Room. The talk is FREE and open to the public. Feel free to bring your lunch to enjoy while you listen. 2013 marks the centennial of seven of Wyoming’s counties, the largest group of counties organized at one time in the state’s history. The transformation of formerly barren areas of the state through advances in dry land farming techniques and the completion of two large irrigation projects led to one last homesteading boom and the need for new local governments. Dr. Roberts will share his wealth of knowledge about this unique time in Wyoming history. 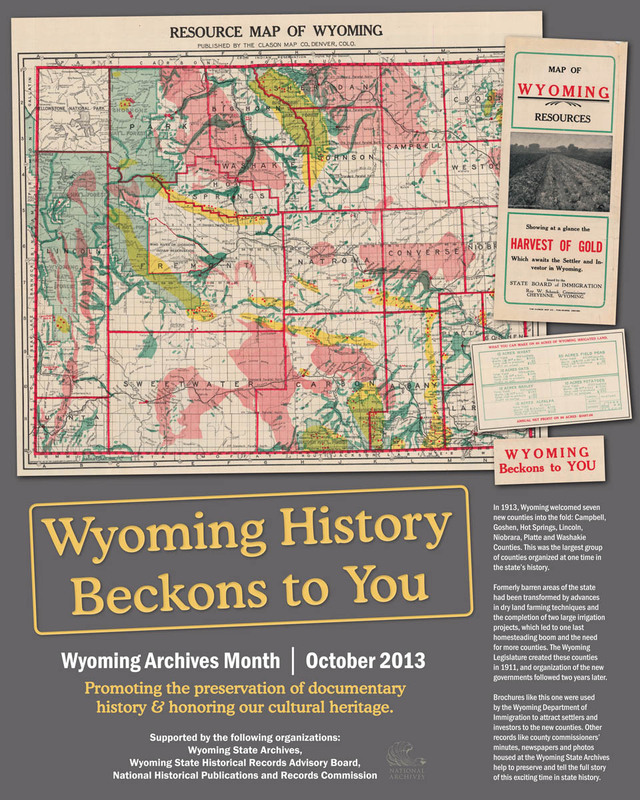 This talk is brought to you by the Wyoming State Archives in celebration of Archives Month.